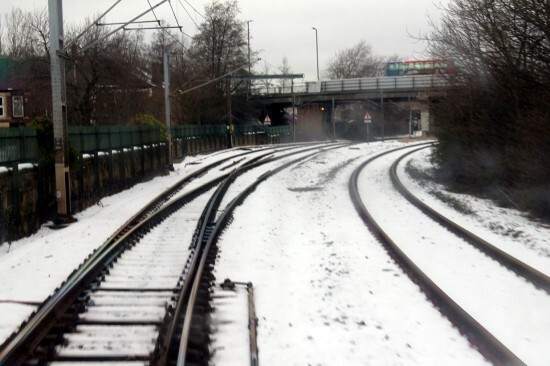 There was planned engineering work on Tyne & Wear Metro on Sunday 3rd February which saw the line shut between Heworth and Jarrow and from Heworth to Brockley Whins. 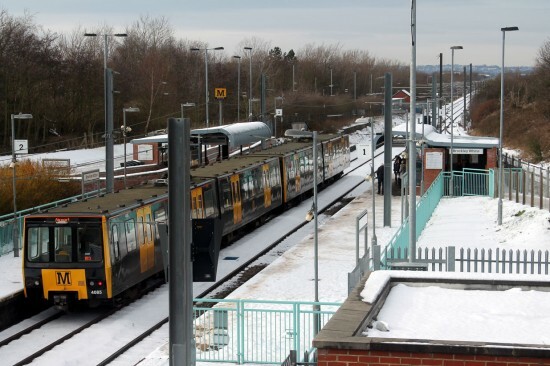 As is usual during works like this a replacement bus service was out on over the affected sections to ensure prospective passengers could still get around. Trevor Hall captured the below images of some unusual moves. 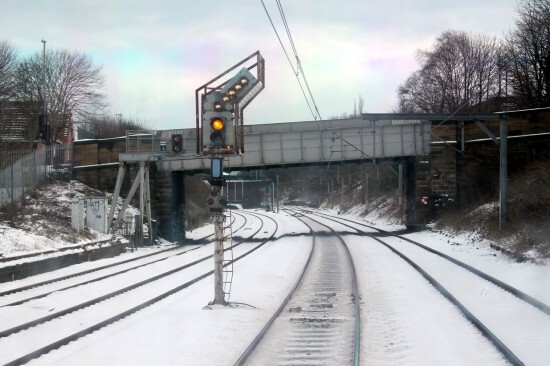 Picture from the front of 4088 as it approaches Heworth with the signal indicating that it will work wrong way into Platform 2 via the cross-over that can be seen in the distance. Platform 2 would be its normal platform for the return trip. The lines on the left are the National Rail lines down the Durham Coast. The terminus coming up from South Hylton was at Brockley Whins and 4085+4077 are pictured on Platform 2. Having off-loaded the passengers it worked empty to the cross-over in the distance and worked back into Platform 1 to return south. The line that can be seen on the right of the picture is to Tyne Dock with biomass replacing coal as the main train loads. 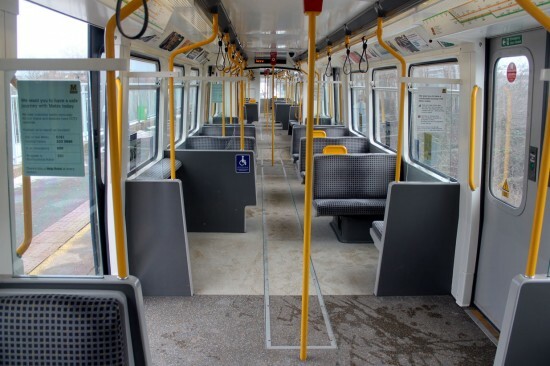 Interior view of 4077 at South Hylton.